Marc Nager and Andrew Hyde tell us how Startup Weekend grew from a single gathering to over 4,000 events in 1,142 cities. Startup Weekend began in 2007 in Boulder, Colorado. Andrew had the crazy idea to build a startup in a weekend, and more than 80 people showed up to participate in the first 54-hour event. Now there have been over 4,000 Startup Weekend events all over the world that more than 250,000 entrepreneurs have attended. 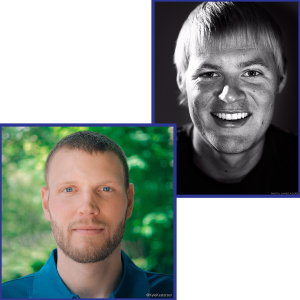 We’re going to learn how Marc and Andrew’s desire to create something, and help others create, has grown into this worldwide startup phenomenon. Just how global entrepreneurship and startup communities are, and how much they’re growing. The Go and Grow Podcast is supported by Audible.com. You love listening to great content. So why not listen to your next book, instead of reading it? 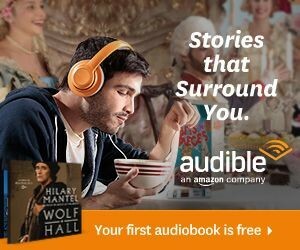 Audible.com has over 180,000 titles to choose from for your iPhone, Android, or tablet. Get your free audiobook download and free 30-day trial now at audibletrial.com/goandgrow. If you could chat with anyone, dead or alive, who would it be and why? Name a tool, app, or website that you can’t live without and why. Marc: OpenSnow, a winter sports information and lifestyle app. Tell us something unique and interesting about you that not many may know. Andrew: Hadn’t been out of the United States until he was 22, when he started Startup Weekend. Now he’s been to nearly 70 countries. Marc: The youngest employee ever at Mammoth Mountain Ski Area. In college, he made over $100 an hour in cash moving futons. What are the top three skills or characteristics that you look for in people you work with? Trust, trust, trust, (and style). What is something you believe, but few others agree with you? Marc: I truly believe entrepreneurship is more effective than politics, foreign policy or any other form of diplomacy. Find Andrew at hyde.co. Find Startup Weekend, Startup Week and Startup Next on social media. We appreciate you spending your valuable time with us! If you enjoyed this episode, and we hope you did, please share it using the social media buttons to the left. Also, please leave a rating and review on iTunes and Stitcher. It will help others like you discover the show more easily, and we’d be really grateful! If you’re not sure how to submit a rating and review on iTunes, check out this blog post for instructions. You’ll never miss another episode if you subscribe to the Go and Grow Podcast on iTunes, Stitcher, Soundcloud, or the podcast player of your choice, and sign up for our email list below. Just do it! If you have any comments or questions, feel free to post them in the Comments section below or email me. Thanks again for listening and now go and grow your business!